Living at Foote Farm gives one the best of two worlds: a bucolic, “away from it all” lifestyle surrounded by open space and preserved farmland… but just minutes from the amenities of a bustling college-town community. Located in “dairy country” of the Champlain Valley of west-central Vermont, Foote Farm is in Cornwall, a rural town of 26 square miles and approximately 1200 people immediately to the west and south of Middlebury, home of Middlebury College. Most needs — whether shopping, recreational, athletic, healthcare (including Porter Medical Center), entertainment, dining or social — can usually be accommodated easily in Middlebury proper, just a five minute drive east on Route 125. 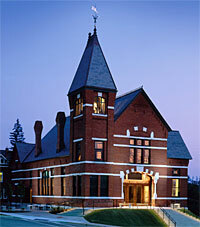 Lectures, concerts and gallery exhibits abound at Middlebury College, which goes out of its way to welcome the surrounding communities. The Town Hall Theatre hosts plays and concerts, and live music is performed regularly at 51 Main at the Bridge, downstairs at Carol’s Hungry Mind Cafe’ and at Two Brothers Tavern. The week-long Festival on the Green brings free live music to Middlebury each July, while the Midd Summer Fest celebrates Vermont beer, wine and cheese at Marbleworks in August. Local farmers offer fresh produce, cheese, flowers and crafts at the festive Farmers’ Market in Middlebury on Wednesdays and Saturdays from May to October. The Vermont Chili Festival, sponsored by the Better Middlebury Partnership, closes down Main Street in Middlebury for a Saturday afternoon in late winter. Up to 6,000 visitors sample a variety of chili from dozens of vendors (from professional to organizations to amateurs) in an event listed as one of Vermont’s 10 Best Winter Events by the Vermont Chamber of Commerce. Like to eat? Restaurants in Vermont are known for letting locally-sourced ingredients shine on their own merits. 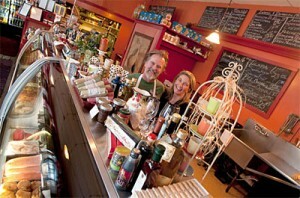 Within a 15 minute drive from Foote Farm are a dozen or so outstanding eateries in all price ranges. In Middlebury, try the Storm Cafe by the falls, Jessica’s at the Swift House Inn, The Lobby on Bakery Lane, Fire and Ice (for a throwback prime rib and salad bar experience), Two Brothers Tavern, 51 Main at the Bridge, Sabai Sabai for Thai cuisine, American Flatbread for wood-fired organic pizzas and local beers, Mister Up’s for pub grub, A Taste of India on Bakery Lane, Sama’s Cafe for breakfast or lunch, or get great takeout salads and sandwiches at Costello’s Market or Noonie’s Deli in the Marbleworks complex. 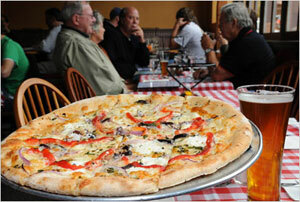 Ten minutes southwest is the gastropub at the Shoreham Inn. North, try Tourterelle for French country cuisine on Rt 7 in New Haven; the Black Sheep Bistro, Park Squeeze and Bar Antidote in Vergennes, and the Starry Night Cafe in Ferrisburgh. Heading east, there’s the Bobcat Cafe and Mary’s at the Inn at Baldwin Creek in Bristol and Cafe Provence in Brandon. The Waybury Inn (of The Bob Newhart Show fame, and a favorite lunch spot of Robert Frost’s) has fine dining and a pub in East Middlebury. Enjoy craft beer? Stop by Otter Creek Brewing for lunch and sample the Otter Creek, Wolaver’s and Shed beers and ales brewed on the premises. The Drop In Brewery on Route 7 south also features on-site brewed beers. Lincoln Peak Winery on Rt 7 north of Middlebury has a nice tasting room for their local vintages and also encourages picnics on the porch and walking in their vineyard. On Exchange Street, Vermont Hard Cider Co. has a new production and visitors center for it’s Woodchuck Hard Cider brand. For sports fans, the Chip Kenyon Arena at Middlebury College is packed for hockey games in the winter, and you can be home at Foote Farm within minutes after the game! Prefer to play? The Memorial Sports Center in Middlebury has youth and adult leagues. Skiers have two venues within a 30-minute drive from Foote Farm. For alpine enthusiasts and snowboarders, the Middlebury College Snow Bowl (site of the 2013 NCAA Championships) has 17 trails with three chairlifts, plus several gladed areas for skiing and riding in the trees. State-of-the-art snowmaking ensures quality snow even when Mother Nature doesn’t cooperate. The Snow Bowl is small enough to be family friendly and challenging enough for top athletes to train and race. The Rikert Nordic Center at Middlebury College’s Bread Loaf Campus (near the Snow Bowl) offers Nordic skiers over 50 kilometers of groomed cross county trails. A state-of-the-art snowmaking system, installed in 2013, ensures snow coverage on 5km of trails. New snowshoe trails offer those so inclined an opportunity to enjoy the peace and quiet of the Vermont woods… although one can do that right here at Foote Farm! The 18-hole Ralph Myrhe Golf Course at Middlebury College is uncrowded, reasonable in price and open to the public. The Basin Harbor Club is 30 minutes away, in Vergennes. Further up Route 7 in Shelburne is Kwiniaska Golf Club; equi-distant south is Neshobe Golf Club in Brandon. For those who like to sweat it out in the gym, Middlebury Fitness and Vermont Sun Fitness Center are right in town. Hiking and snowmobile trails abound. Should you need to leave town, Burlington International Airport is an easy 50 minute drive up Route 22A to Route 7 north to 189 east. BTV is served by JetBlue, Delta, Continental, United, AirTran and US Airways. The terminal is new and uncrowded; parking is easy. 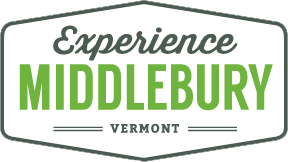 For further insight into working, living and playing in the greater Middlebury area, visit ExperienceMiddlebury.com. Take out a book or DVD from the Cornwall Library? Go trout fishing on Otter Creek or the New Haven River? Pick apples? Or just pick up some cider doughnuts? Watch a hockey game? Lacrosse? Football? Basketball? Boating or fishing on Lake Champlain? Sample at the Vermont Chili Festival? Hmmm… so much to do!